With the unemployment rate at an all-time high, recruiting the best candidate for a specific position can be challenging and the time necessary to wade through dozens of applicants can be extensive. There are some practices that a recruiter can adopt to work more efficiently with clients to find the best candidate for the job. A well written, concise job description is essential for both recruiter and job candidate. A job description that is vague, inaccurate and doesn’t give the potential candidate all the necessary information can delay the hiring process and leave candidates frustrated that they weren’t aware of some vital components of the job. For example, if the position requires overnight travel, late nights or weekends, candidates will appreciate that this information is presented upfront and can decide whether these arrangements are conducive to their work/life balance. Every job has its own list of qualifications and requirements that candidates will need to fulfill for the position. Not only is it important to formulate a detailed list of the skills required but it is also necessary to rank them in order of importance to the actual tasks of the job. It is essential for the recruiter to determine the top 5 qualities that each candidate must possess in order to be shortlisted for the next selection stage. Scenarios to consider are what if a candidate has only four of the five top job qualifications but has other redeeming qualities are that suited for the position? Should the candidate receive further consideration and investigation or does their resume get moved to the slush pile? 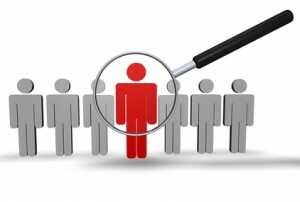 It is not uncommon for candidates with great potential to be overlooked because they lack one of the necessary qualifications but regardless would excel at the job position given the opportunity to prove them. In this particular circumstance, instead of discarding the potential candidate, determine if there are any additional targeted tasks or assessments that the candidate can undertake during the interview process that can prove their abilities? Companies prefer the new graduate without professional experience so that the new employee can be molded to their liking. However, other companies will take on a seasoned worker regardless of their education level because the middle aged worker has the industry experience and knowledge to jump in headfirst into the position without extensive training. Pre-screening applicants via a phone call is a good way to make initial contact and determine who will be short-listed. However, refrain from automatically shortlisting a candidate if they lack all of the job qualifications; workers in the midst of a career transition are eager to cross industries and occupations and highly accepting of learning and progressive training. A face to face interview may reveal some positive qualities that may adequately fulfill the job duties. For example, a candidate with only inside sales experience shouldn’t automatically be overlooked for an outside sales position if their track record for generating new clients and increasing revenues is evident. It is also a great opportunity to assess the candidate’s personality which will help determine whether they’re the right fit with the company. The candidate’s lack of outside experience can be rectified if the hiring company is willing to train the candidate and utilize his/her current inside sales expertise. Likewise, an inside sale professional may possess that hunter mentality that will enable them to excel in an outside position. Additionally, candidates who have been overlooked for a job after the pre-screening call will often comment that they wished they had the opportunity to sell themselves and their talents in a face to face interview. From a recruiter and candidate standpoint, communication is the key to finding the best candidate for the job from the initial stages of creating a comprehensive job description through to pre-screening of applicants. Author Bio: John Hallinston is a recruitment specialist and career development consultant. You can find more of his work on his blog Career Focus Café.